The stores testing the Milk Chocolate Mocha are located in greater Sacramento cities, such as Folsom and Rocklin, and isolated stores in North Eastern Ohio. 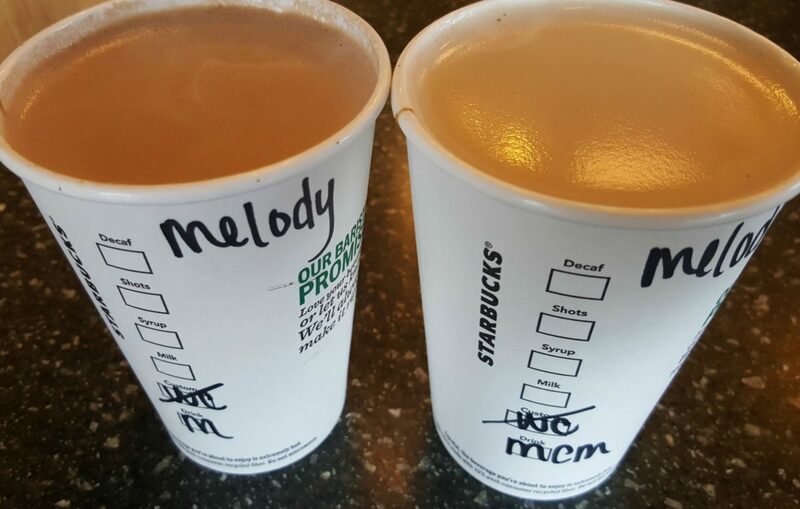 The Milk Chocolate Mocha is the one with “MCM” written on the side of the cup. It’s a much more subtle and soft mocha flavor than the dark chocolate mocha. 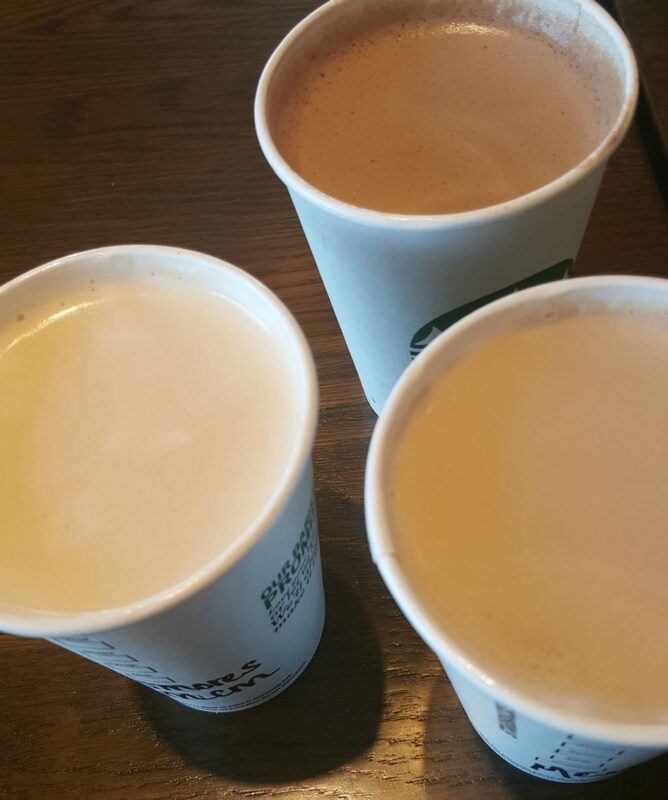 When you drink the two side by side, the traditional mocha is almost overwhelming in comparison. The Milk Chocolate Mocha is good, but I don’t imagine it will be popular. It just seems as though Starbucks customers tend like lots of flavor, not subtle mocha notes. The test Milk Chocolate Mocha is milk, milk chocolate sauce, and espresso. 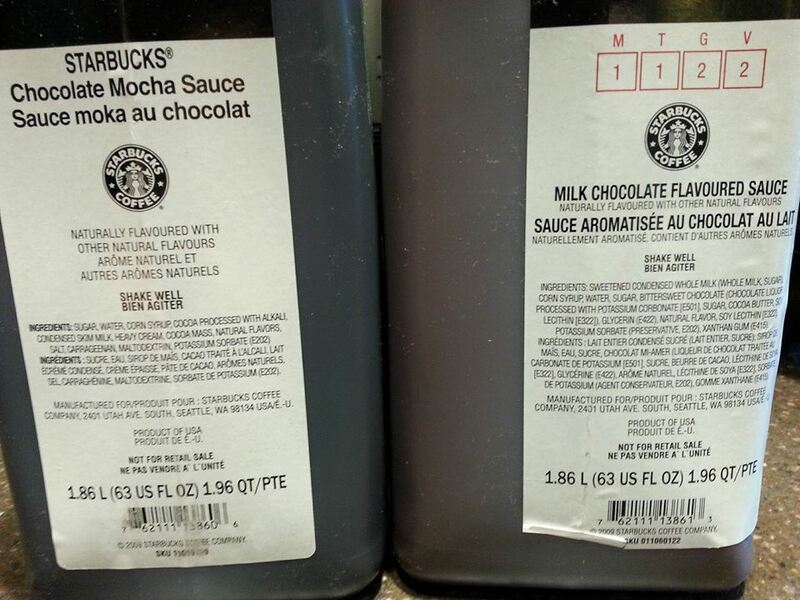 In the above photo, the mocha sauce on the right is for the S’mores Frappuccino. The lightest of the three above mochas is the mocha made with the S’mores milk chocolate sauce. The S’mores version of the milk chocolate mocha is rounder, soft, and almost a bit buttery! There is currently no signage for this drink. As you can see, I tried the test drink on the tail end of the test. But I hope you get a chance to try the test Milk Chocolate Mocha! You’ll have to specifically ask for it. And keep in mind, the test drink is only in a limited number of stores. The upshot of it all is that I don’t see this being wildly popular. 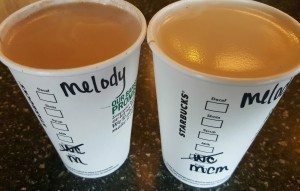 Starbucks has tested other variations on the mocha. 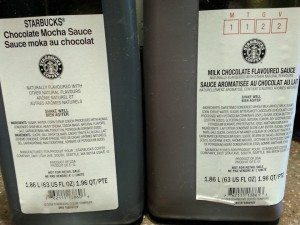 It wasn’t that long ago that Starbucks tested a mocha made with actual truffles! Delicious! 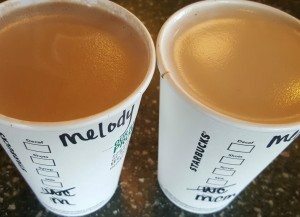 You can read about more Starbucks tests here. Enjoy! The Milk Choc Sauce you make the S’mores Frappe with it great in ice coffee, nothing else tastes very good. I came across a bottle of it and have been making the ice coffe @ home and I am very pleased with this sauce.